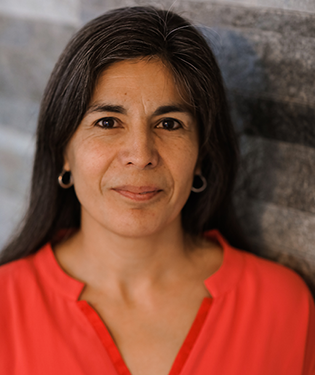 Diana Alvarez, R.Ac., graduated in 2009 with Diploma of Acupuncture from the Canadian College of Acupuncture and Oriental Medicine in Victoria, B.C. and is a licensed acupuncturist registered with the CTCMA of BC. Raised in Ottawa, Diana worked in the film industry in Toronto for 17 years before deciding alternative medicine was the right area of work for her. Her personal experience with acupuncture began in 1993 and she has been fascinated with it ever since. "It was surprising how great I felt after my treatments, my mood and energy improved and my aches gone. I pass this experience on to my patients with a warm, and personal perspective." Diana has had success in treating the following conditions: headaches, migraines, neck and shoulder pain, low back pain, sciatica, frozen shoulder, insomnia, anxiety, depression, grief, quitting smoking, immunity boosting, fibromyalgia, chronic fatigue, menopause, reproductive and hormonal issues, digestive problems such as colitis and diverticulitis, side effects from radiation and chemotherapy, seasonal allergies and colds, stress from trauma and abuse. Although her practice is specifically based upon acupuncture, the following may be incorporated: acupressure (using the same acupuncture points but without needles), cupping, heat therapy lamp, mild forms of electrical stimulation for the needles, ear acupuncture, magnets, and moxibustion and, when appropriate, Gua Sha (to help open up the fascia), and nutritional advice. Diana enjoys being an urban bicyclist, enjoys the out of doors with walks and hikes, practices yoga and meditation, partakes in art classes, enjoys cooking and sharing food, sings with a local Victoria choir and still loves watching movies in her spare time. "I saw Diana today for my initial acupuncture appointment and had such a wonderful experience. She has a very healing and supportive presence during the whole session. By the end, I was definitely more relaxed, had less shoulder tension, and felt on Cloud 9! She also gave good advice for continuing care. I highly recommend her :-)"